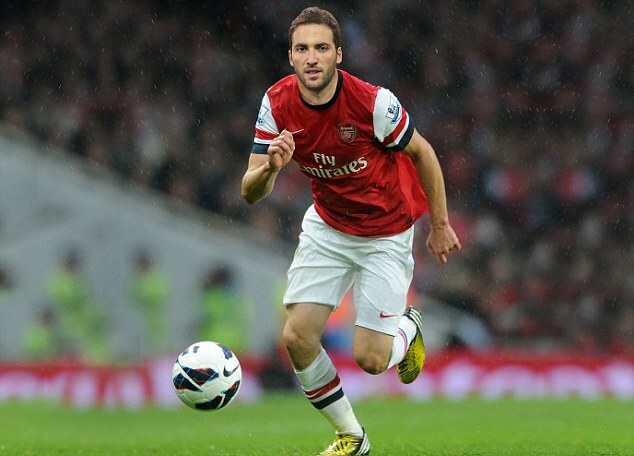 This will come as good news to all Arsenal fans as it has being reported that Argentina forward Gonzalo Higuain is on his way to London to complete his £22million switch to Arsenal. Higuain, who has been told by Spanish club, Real Madrid that he is free to leave, is expected to fly into London on Thursday evening for final talks. His father has indicated that the move should be completed shortly. ‘We do not negotiate with any club without permission of the selling club,’ Higuain told TuttoMercato. The North London club completed the signing of young French striker Yaya Sanogo on Monday, the first day of what could be a busy transfer window for the Gunners. Johan Djourou and Vito Mannone have already been loaned out and sold respectively, while manager Arsene Wenger is reportedly interest in Wayne Rooney, Marouane Fellaini and Lars Bender. 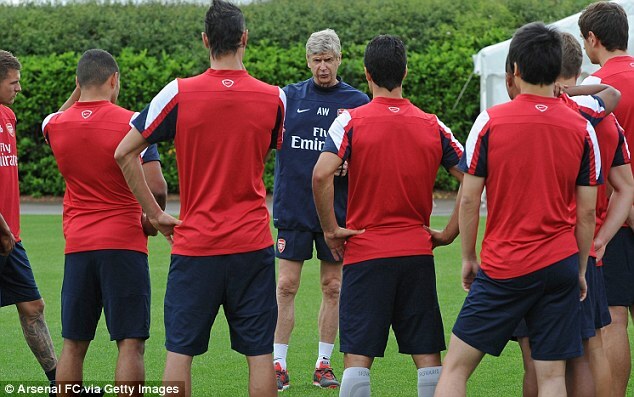 Meanwhile, Arsenal stars returned to training this morning as they side strive to be in perfect shape ahead of the new season. 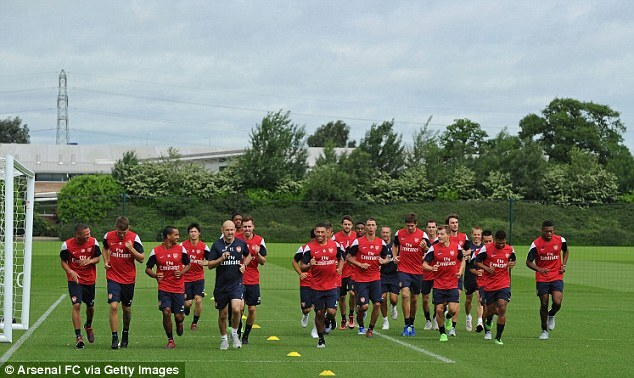 With the Gunners heading into the campaign looking to win their first trophy for over eight years, the players were out doing some light running and core strengthening exercises at their London Colney training base. Arsenal fans will be relieved to see Jack Wilshere training with the squad, with many believing that the fitness of the English talisman will to be essential to Wenger’s cause this season.